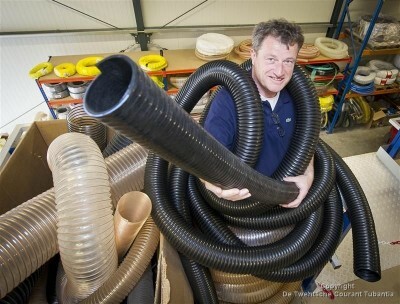 Herman ten Barge, CEO of Dutch company Reefhors, is proud to be working on the inflatable roof of Madonna’s MDNA Tour stage that will be filled with air using Reefhors’ hoses. Using a sail as a roof was deemed to risky, so they opted for a construction with a inflatable roof. We also learn that international stage construction company StageCo from Belgium is currently building four huge, identical stages. The dimensions of each stage are 70m in width by 40m in depth by 26m in height.